The Constructing Scientific Communities team welcomes three new team members in October. Joining us are Dr Berris Charnley (Postdoctoral Research Assistant – University of Oxford), Alison Moulds (PhD student – University of Oxford) and Matthew Wale (PhD student – University of Leicester) Further information is available on our People page. A Night of Humanities Uncovered! As a historian, I have never been entirely sure of the most effective way to engage the public in what, to some, might be considered a niche research area. 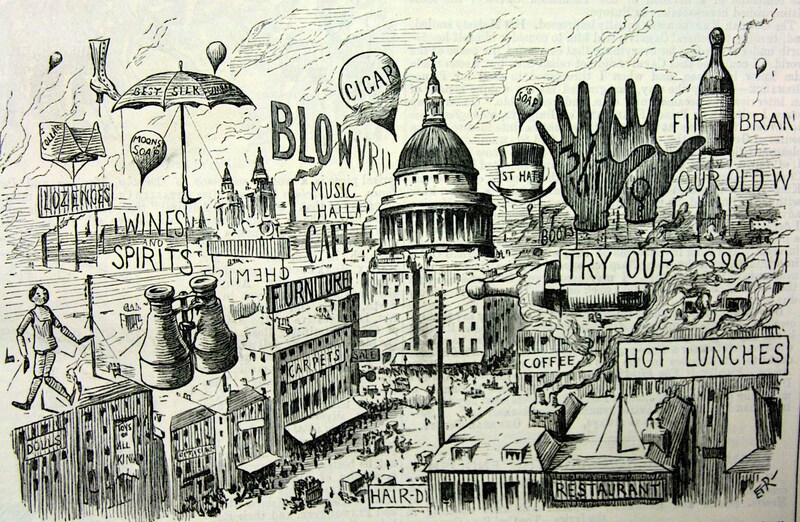 Victorian periodicals, and the plethora of illustrations which accompanied them are certainly interesting to me, but are they relevant to a modern audience which is used to seeing, reading and experiencing much more spectacular images on a daily basis? 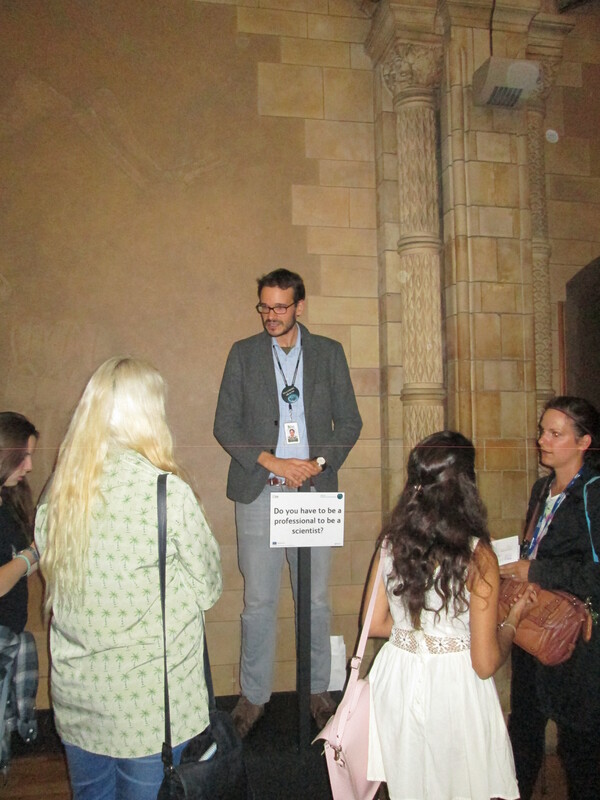 After working the ‘Science Uncovered’ event at the Natural History Museum last Friday (the 26th of September), I’ve learnt at least one thing – that there is an incredible appetite by the public to talk to, and engage with, scientists and historians about their research. I also learned that when attempting to engage with wider audiences, that holding that discussion in an amazing venue really helps. 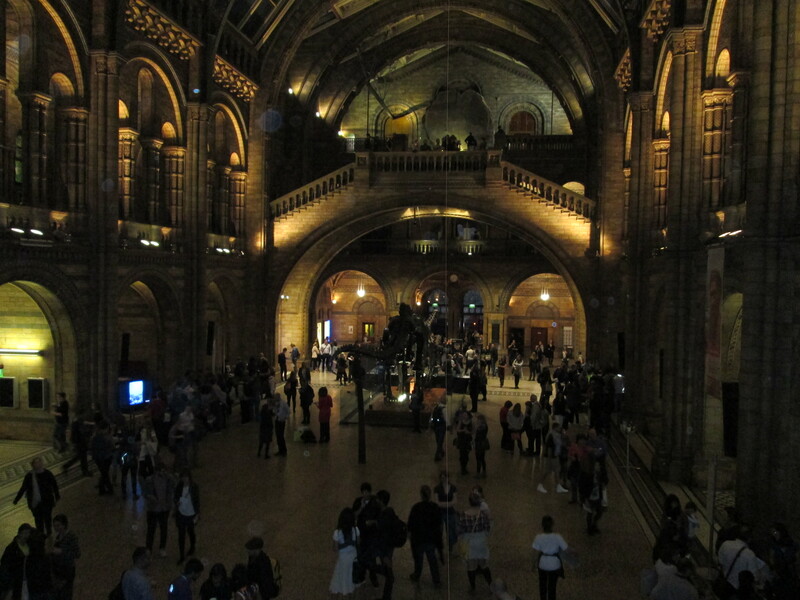 The Natural History Museum, lit up at night, becomes a surprisingly different place – it may have just been the change in lighting, or the fact that the Museum’s halls were filled with over 8000 individuals walking around, ready to ask questions and to give their own opinions. For me, at least, the museum became less about the spectacular collections that it houses, but about the active and vibrant research culture which goes on behind the scenes. Having never done a soapbox before (which I’m told are becoming all the rage in public engagement!) I really wasn’t sure what to expect, or whether people would be interested in my question. But once I was on the soapbox, I didn’t really have time to wonder – for the following hour and a half I was able to have very interesting and deep conversations with passersby about their views on who can and can’t be scientists. 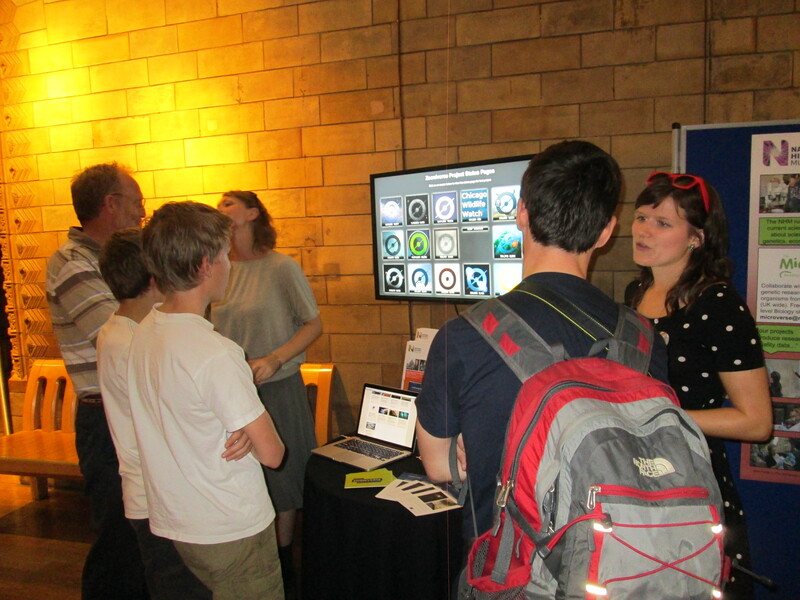 The Science Uncovered event really attracted a wide range of people. I spoke to PhD students currently writing up their doctorates in a number of different scientific disciplines. I spoke to school teachers, high school students, and retired professionals from the industrial sector, and many others. There was no singular answer to this question from any of the audience – but the general consensus was that scientists and professional didn’t need to be binary nor mutually exclusive terms. Naturally, this was music to the ears of a historian who is used to talking in terms of the ‘mushy’ nature of terminology, and importance of context! At the same time that everyone I spoke to had a well formed and interesting opinion, there was also a keen desire to hear about what why I was asking this kind of question, and what kind of research I was doing on the ConSciCom project. While I love the journals and the archival research I get to do as a post doc – and occasionally presenting this research to colleagues – it is really good to be reminded that these archives and questions are relevant and important to a much wider audience. I was also very lucky that when it came to a really sticky question – such as “how is it possible to be a non-professional scientist in a modern context where there are so many barriers?” – I was able to give them a concrete answer, just a couple of feet down the hallway from me. Standing at the opposite end of the hall, colleagues from the Zooniverse project were on hand to carry on the conversation, and show the many projects they currently have running which allow the non-professional, or ‘citizen’ to participate in science. In the end, I, nor the team from Zooniverse, were not able to give definitive answers to the question posed. But what we were able to do is present some of the central questions that are motivating the research on the ConSciCom project. And we discovered historical research – especially when mixed up with scientific practice – is something everyone wants to talk about!